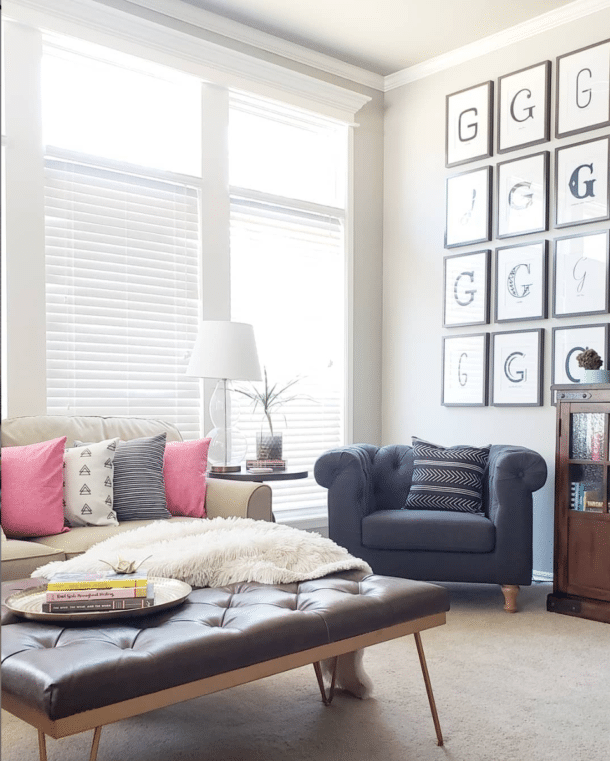 I talk a lot about the balance of saving versus splurging when decorating. While I LOVE adding fall touches around the house, I think items that live in the attic 9 months out of the year should just be defaulted to the SAVE side of that equation. 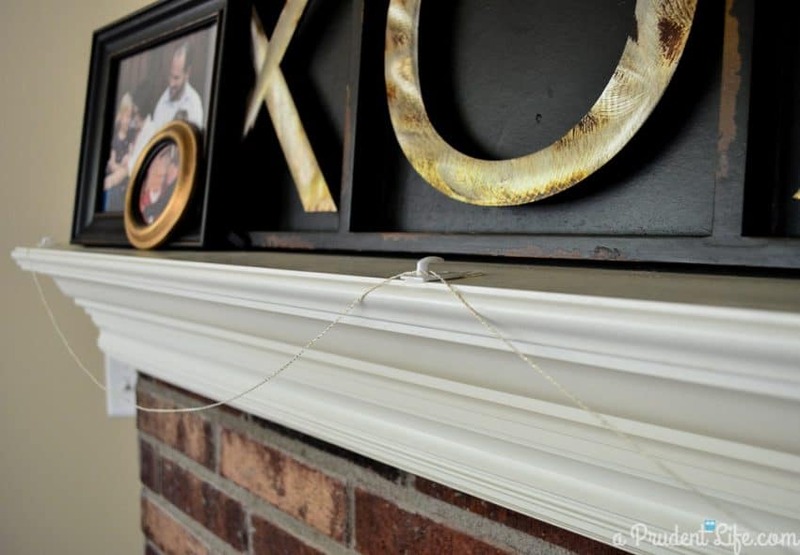 With that in mind, I set out to DIY a modern garland for our fireplace. I think the same design would look amazing on an open stairway banister! I bought an ugly, but crazy cheap wreath at an estate sale and pulled the maple leaves off to use for the project. The mini clothespins I used came from the dollar bins at Target last year. But, if you want to do some one-stop shopping, I added a supply list below where you can order everything on Amazon through my affiliate links. Once you’ve got the supplies, everything comes together so fast! My almost free leaves were pretty ugly, so I painted them bronze with craft paint. In retrospect, I should have saved time and spray painted them. The maple leaves I linked to above are much better looking, so the painting step is totally optional! While the leaves dried, I swagged an empty line of bakers twine to the fireplace using tiny command hooks. Then, starting with the lowest points of each swag, I added a burlap leaf with the secret to the speed of this project. TINY CLOTHESPINS!!! It seems like it’s hard to make a tiny 1″ clothespin that is consistently sturdy, so you may have a couple snap when you squeeze them open. But most of them work fine and once they are up, they hold with no issues. 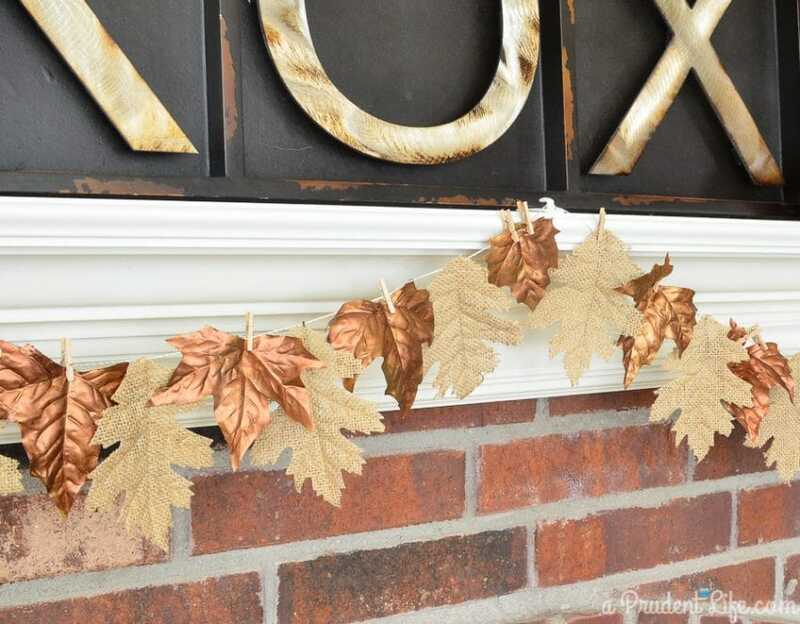 I continued alternating the burlap and bronze leaves until the whole garland was full. 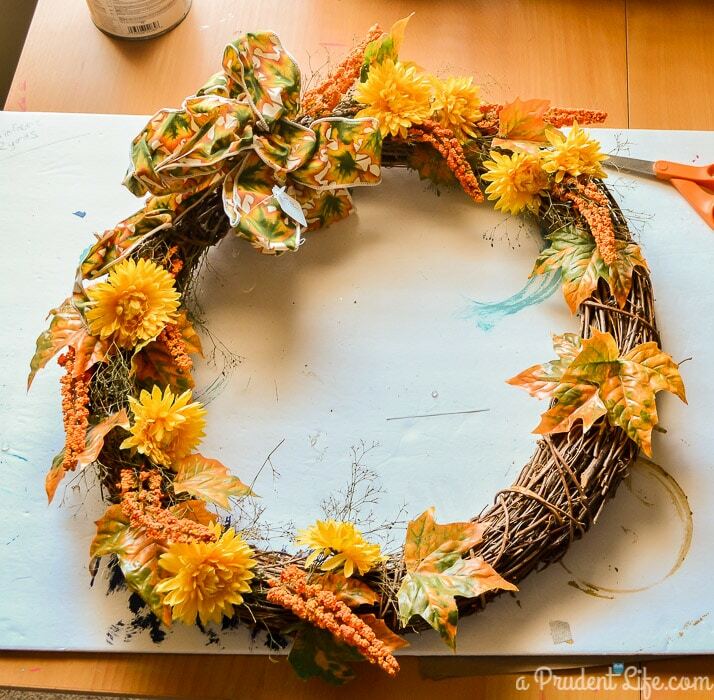 And that’s all there is to creating a modern fall garland! 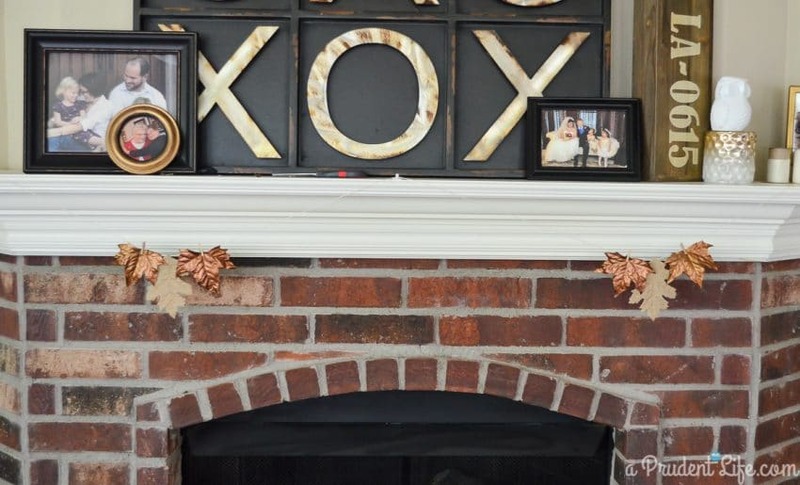 Your garland is cute and I love everything on your mantel! Beautiful and so easy! Did you make the tic tac toe sign too? I wish I could take credit, but I got the tic tac toe board at Kirkland’s several years ago. It’s such a fun design! I wish you could come decorate my home, we’ve lived in our new home for about 3 years now and it still looks like we just moved in. Your home is so beautiful! Thank you so much! But don’t forget only the prettiest spaces make the blog. We moved in four years ago and have PLENTY of spots that are bare and undecorated! It takes a long time to decorate a new home, so don’t be discouraged! 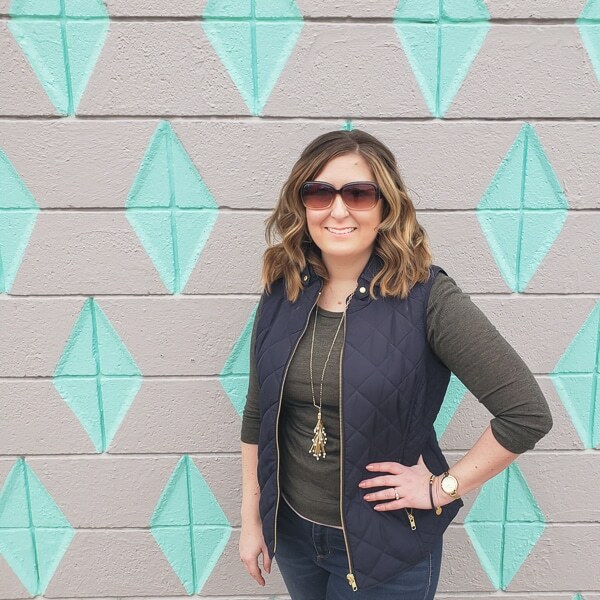 I do offer e-decorating sevices (unless you are in Tulsa where it could be real!) were I would talk to you about your likes and dislikes and give you a customized design plan for a room. Email me at [email protected] if you are interested! I never thought about using Command strips on a horizontal surface. What an excellent idea! 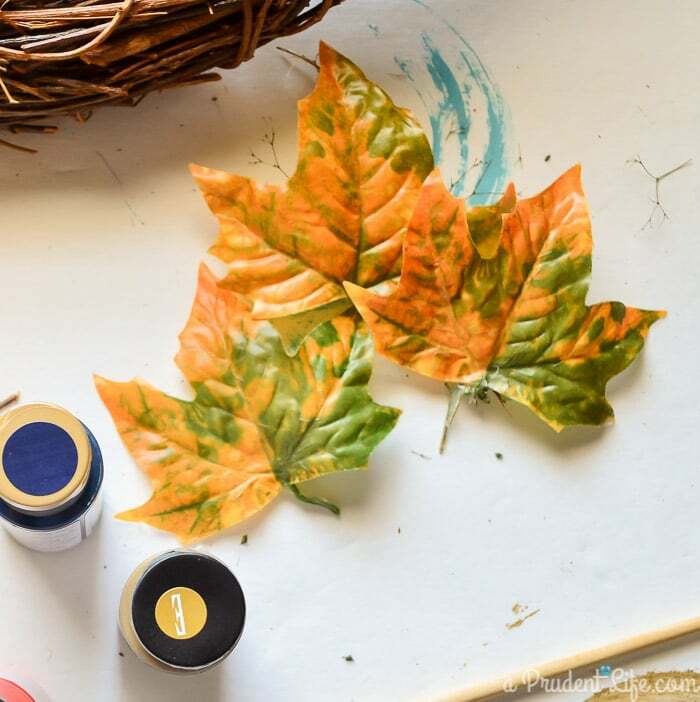 I love to collect fall leaves and I may make a garland with my sweet gum leaves. The little clothespins would work fine.